Plan your workouts around the most popular times to swim at Asphalt Green. 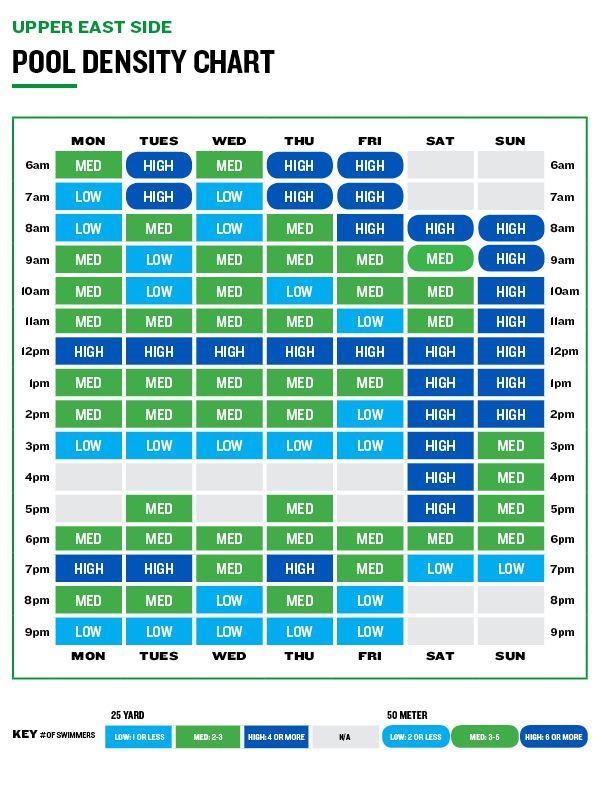 The chart below shows the estimated pool traffic hour-by-hour each day. Get ready to dive right in! View the pool schedule here. Summer and swimming are the perfect pair. With vacation in full swing, we can’t think of a reason not to swim every day. Asphalt Green's biggest celebration of sports and fitness raised $800,000 to support our free community programs.